General Conference Countdown Day 21 of 37: Get your Study Schedule here. Today’s reading comes from a talk by Elder O. Vincent Haleck entitled “Having The Vision To Do” given during the April 1, 2012 Sunday Afternoon session. Elder Haleck was born in Utulei, American Samoa. 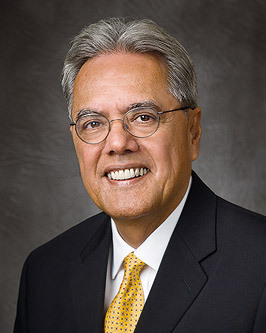 He converted to The Church of Jesus Christ of Latter-day Saints in 1966 at the age of 17, and has devoted his life to missionary and humanitarian service throughout the Samoan islands, and the world. When Elder Haleck was called to be a General Authority in the Second Quorum of the Seventy, he and his wife Peggy relocated from Pago Pago, American Samoa, to Salt Lake City, Utah. They are the parents of 3 children and 7 grandchildren. I can only imagine the sacrifice it took for Elder and Sister Haleck to leave their comfortable island home, all of their friends and their family to serve in this capacity. My heart is very tender when I think about how many spiritual heroes there are in the church, quietly carrying heavy loads and performing herculean service with no thought of reward or recognition. Elder Haleck’s life stands as a witness of the message of his talk. How do we, amidst the challenges of our lives, gain the vision necessary to do those things that will bring us closer to the Savior? Elder Haleck shared a story from his personal life that is quite remarkable. His parents chose to send their children far away to the United States for schooling. Elder Haleck explained that under unique circumstances, that is what his parents knew they needed to do to give their children a better life. As a parent myself, it is nearly impossible to comprehend that! Elder Haleck says that they were only able to do this difficult thing in partnership with the Lord. His parents fasted and prayed one day every week for their children. By doing that, they received increased “vision” and peace about their decision. They also were able to see the positive blessings their children received. Through fasting and prayer, they received the assurance, comfort, and peace that all would be well. Elder Haleck reminds us that the Savior Jesus Christ is our perfect example of having vision – whether it was being able to see the potential of another human being, or clearly seeing how to teach the message of the gospel in a personalized way – Jesus knew exactly what to do to transform and save lives. 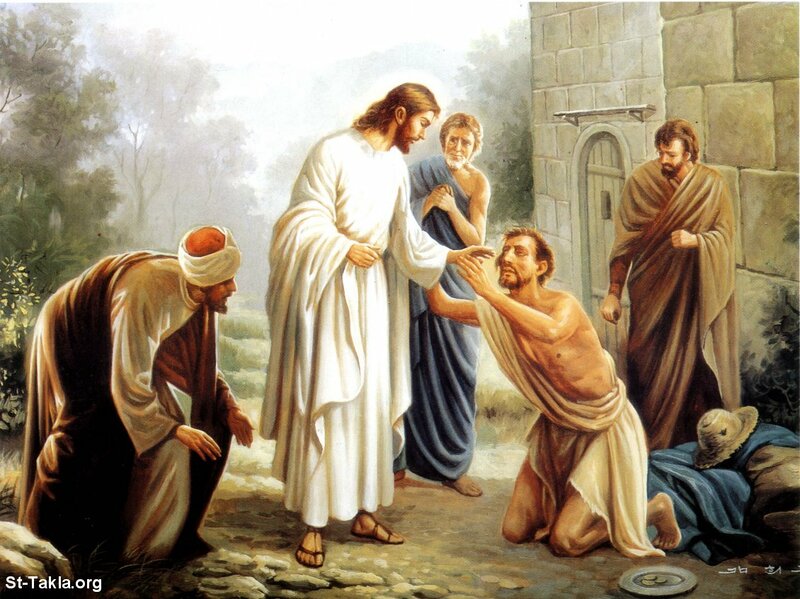 Jesus saw beyond all the labels; ‘fisherman’, ‘leper’, ‘maimed’, ‘blind’, ‘tax collector’, ‘sinner’ and even ‘deceased’. . .with his touch, he could transform each soul into reaching their highest potential. He has not stopped reaching out and touching us. Those who look to Jesus, and follow him, are always enlightened and transformed. The things we go through in life are so hard. The pressures and complexities and pace of life is continually distracting and overwhelming. It is so easy to lose our vision of who we really are, and what we should individually focus on. But, Jesus has not left us to fend for ourselves. He has sent us “The Comforter, which is the Holy Ghost, whom the Father will send in my name, he shall teach you all things, and bring all things to your remembrance, whatsoever I have said unto you” (John 14:26). [The Holy Ghost] can empower and motivate us to do the things that the Savior and our modern-day prophets and apostles teach. I know that as we gain a vision of ourselves as the Savior sees us and as we act on that vision, our lives will be blessed in unexpected ways. I think the thing that touched me most when I read this talk is the idea that when life gets hard, as it ALWAYS does, and then it gets even harder until we can hardly stand. We have a powerful promise that we are not going through this alone. Jesus has sent the Comforter to be with us ALWAYS, and Jesus KNOWS what we need. Perhaps our most challenging “job” during this life is simply “getting out of the way”. Instead of always trying to become someone we want to be or think we should be, we can allow Jesus to show us who we already are. Let us see ourselves as the Savior sees us. When I read this talk, I thought of this beautiful Irish hymn. Enjoy. Next postConference Fist Pumps and Backflips! Elder O. Vincent Haleck is a great man. I am always amazed by the amount of selfless service that these men render. Thanks for sharing!